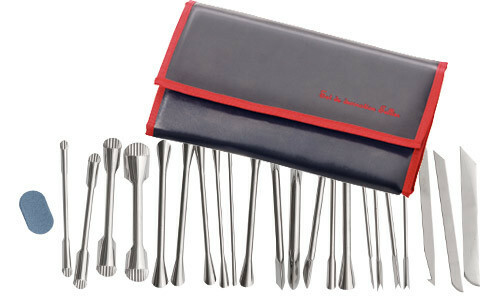 Comfortable and complete pochette of 22 utensils for the carving and the decoration of the fruit and the vegetables. 18 tools with smooth cut and 4 with undulated cut. Besides small stone to sharpen the tools.